At least, it’s hard not to feel that way as a single woman. For over a year, I’ve watched people panic when I show up without a partner. I’ve been asked, “Soooooo hooooooow’s wooooooork?” more times than I can count. I’ve had others explain things to me that I already understand. I thought I was the problem. I doubled-down on small talk, asked lots of questions, brought wine to Bible study. I thought, Maybe these people are uncomfortable around singles. Believe it or not, I love this book. Perhaps “love” is a strong word for the conflicting emotions I feel. I went in expecting a different story, but rereads have shown the prose gets stronger with age. I appreciate what Bender does with her character’s emotions, even if the symbolism goes over my head. So no, this book never betrayed me. It betrayed my friend Laura. Maybe I’ve been collecting these books as a way to relive this reading experience? So far I’ve failed; I haven’t liked a single one of the above books. I get a sense of the story’s sadness from the cover, perhaps because of the creepy, looming shadow I just noticed. But the alternate cover? Something tells me this edition sold very well in France. GIRL! IT’S JUST CAKE! CHILL! Sadness? Cake? Magic? I didn’t care how much the book cost; I wanted it. I passed the book to Laura. We were stuck together for the next week, so I agreed. “Can’t wait to read it!” Laura would call over her shoulder. I finished the book sometime that night. I lay in my bed for as long as I was allowed, absorbing the Great Sadness of the World. When friends say this to me, I assume a “but” is coming. At this point, I’d started to have some dark thoughts. I’d spent five days with these people sharing meals and bathrooms and tools, listening to the same 20-song playlist for the whole of our 8-hour workday, hauling firewood to avoid another tense afternoon in the linen closet. I only had an hour or so to myself each night where I tried to squeeze in some quality reading time before my body shut down; even then I could heard my team members laughing and making fart noises in the hallway. So when Laura insisted yet again that a book with “sadness” in the title would be a jolly good time, I did worse than snap: I refused to warn her. “HAHA, YEP, ENJOY!” I said, sprinting off to scarf down another Costco muffin. I saw the betrayal on her face. I should have felt guilty. I didn’t. I still don’t. She handed the book back to me without a word a day later. Laura said nothing. I enjoyed a brief pocket of silence, my “weird” book shielding me from my teammates’ conversation. I haven’t heard from Laura in years. After writing about so many disappointing books, it seems a bit dramatic to cite one as the Worst Betrayal of All. Which book destroyed my reading freedom like a terrorist? 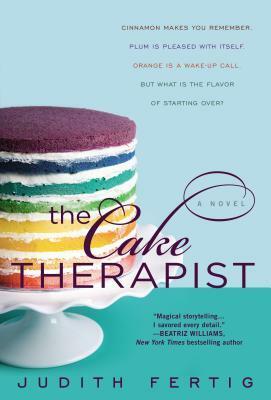 WELCOME, FOLKS, TO JUDITH FERTIG’S THE CAKE THERAPIST!! If you want me to like you, buy me books. If you want me to love you, let me buy my own. Graduating from college netted me cash and gift cards from various relatives, including my brother’s-in-laws. Because they don’t know me well, they sent me a nice note and a Barnes and Noble gift card. I couldn’t wait to spend it. With celebratory spirit I entered Maplewood Mall’s giant Barnes and Noble, skirting away from my aunt’s beloved used section to ogle the New Releases. There I saw the perfect book. My aunt came over to squint at the price tag. “You could get FOUR used books for this price,” she muttered. I ignored her and bought the book anyway. 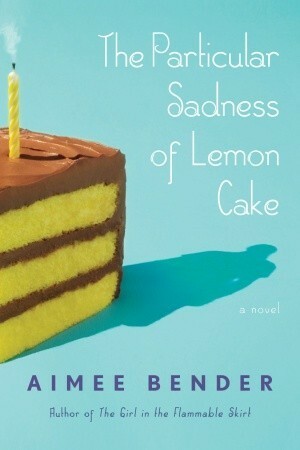 I’d purchased a similar book three years earlier called The Particular Sadness of Lemon Cake (and I have a great story about how that book betrayed someone else…but now is not the time.) In it, the protagonist learns she can taste others’ emotions in the food they make, something she discovers after her dissatisfied mother bakes her a birthday cake. I read that book expecting it to lean into the magical realism and found a very different story waiting for me. Though the story’s magical elements play less of a role than I expected, they still serve a purpose in exploring the emotions of the protagonist and her outlook on the people in her life. Long story short: the flavor ability functions as an exploratory tool rather than a gimmick. Judith Fertig used an interesting premise to sell a boring 1940’s mystery. Much like the character I described above, protagonist Neely can taste feelings in food. More interestingly, she can pinpoint the particular flavor someone needs to either incite or quell a specific emotion. I thought that sounded PRETTY NEAT, like this decade’s Chocolat. Right? RIGHT, JUDITH? A look at the cover reveals specific uses for different flavors: cinnamon for remembrance, orange for wake-up calls, and plum for…pep, I guess? Surprise! Those are the only three flavors discussed in the book! I’d pictured Neely acting as a therapist in secret; she’d listen to her friends blab about their problems and make them a “pick-me-up” that, through unique flavor combinations and witchery, would tap into their emotions and make them feel better. I was excited to see what flavors Fertig assigned to different personalities. DO YOU UNDERSTAND HOW FASCINATING THAT PROSPECT IS TO ME, JUDITH? YOU ESSENTIALLY UNLOCKED A NEW SORTING HAT. IMAGINE THE POSSIBILITIES: VANILLA LOVERS LACK DISCIPLINE, RED VELVET EATERS NEED AFFECTION, AND SO ON AND SO FORTH. Neely pulls the “therapist” act maybe twice, though I can’t remember in what context. She spends most of her time trying to remember a flavor she just can’t recall. But enough of that noise; there’s a mystery afoot! The novel kept jumping back in time to the 1940s to take a not-so-interesting look at a poor Jewish family living in Neely’s hometown. I knew the flashbacks had to have some importance, but I couldn’t figure out what this gritty historical tale was doing in a chipper magic cake novel. 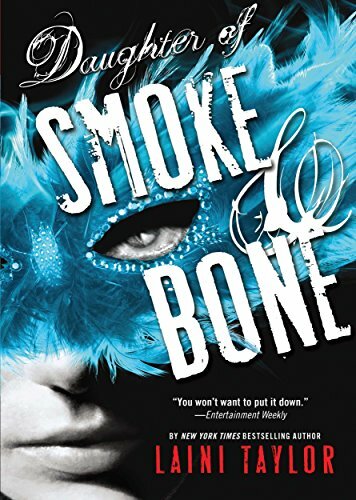 At the very end, Fertig tried to tie the two stories together by having Neely solve a decades-old mystery with her magic powers. I felt gypped. Where was the cake therapy? Where were the flavor assignments? If anything, the “cake therapist” portions felt like padding for a poor man’s Brooklyn. All along, Neely’s magical reputation was a gimmick. Fertig showed no actual interest in the idea beyond using it as a framing device for her actual plot. Oh, and the flavor Neely was trying so hard to remember? Cinnamon. Girl, how could you not remember cinnamon!? What is wrong with you! ?